St Helens Council’s Sports Development team is inviting golf enthusiasts to swing into action at a charity golf day on Friday 26 May at Houghwood Golf Club. Now in its third year, the St Helens Sports Development Youth Sports Programme Golf Day – in partnership with the Steve Prescott Foundation – is an 18 hole, four ball competition where the two best scores count, but contains four mystery holes where all four scores are recorded. Last year, over £4,000 was generated and split between St Helens Council’s Youth Sport Programme and the Steve Prescott Foundation. As a result, over 6,500 young people were able to access sports and physical activity sessions for free during the last 12 months. 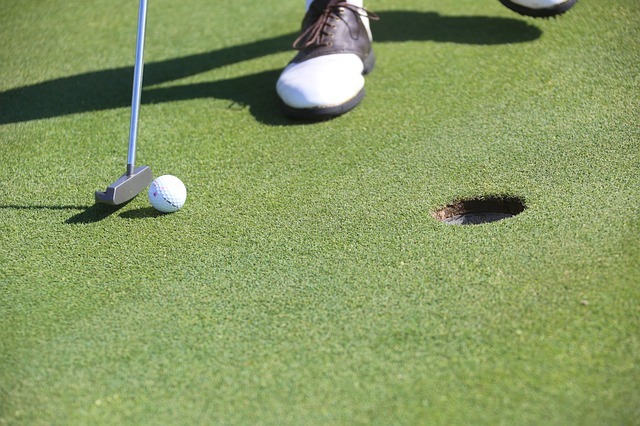 The price of the golf day costs £180 per team (£45 per person) which includes a bacon roll with tea or coffee on arrival, 18 holes of golf – and a meal following the end of play. At a cost of £60, companies can sponsor a hole and dress the tee box with their business details. Fantastic prizes will be awarded to the overall winners and various competitions will run throughout the day, such as nearest the pin and longest drive. The day will be rounded off with a presentation ceremony followed by a raffle and auction, with many great prizes up for grabs. A percentage of all profits will be donated to The Steve Prescott Foundation. Teams are requested to register before the day and sign in will be open on the day from 11:00am for a 1pm tee-off. For more information, call Mark Jennings on 07768414970, or email markjennings@sthelens.gov.uk.